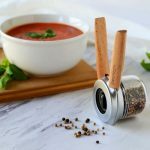 First, they want you to cut like pro with some pretty darn awesome kitchen knives and now, the folks over at Vie Belles Cutlery wants you to sharpen those knives (or any knife for that matter) with this professional knife sharpening system. 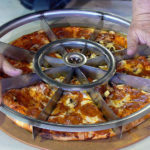 This is not some futuristic, high-tech though; it is the good’ol metal-against-whetstone system. But it is not just any honing/whetstone; this one is, well, a pro and boy, does it look super sleek. 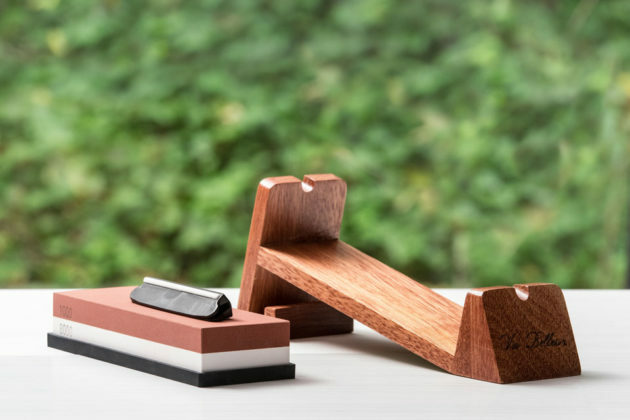 The complete set comes with a gorgeous rosewood stand that is set at a perfect 15-degree angle to hold the double-sided 8000/1000 Fine whetstone, as well as a Honer, for honing and sharpening process. There is even a place for a set of sharpening guideline too. 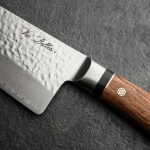 For the uninitiated, honing is something that you have to do once a week if the knife is used frequently, while whetstone is used when honing no longer has the effect on the knife. Like I have said, it is not some high-tech stuff, but it certainly is a complete sharpening solution – that’s if you know what you are doing. 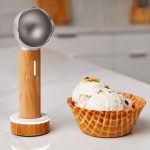 Vie Belles Knife Sharpening System is a snazzy sharpening solution that complements Vie Belles Reserve Knife Series like butter and butter knife. OK. Maybe that does not make any sense, but you get the idea. 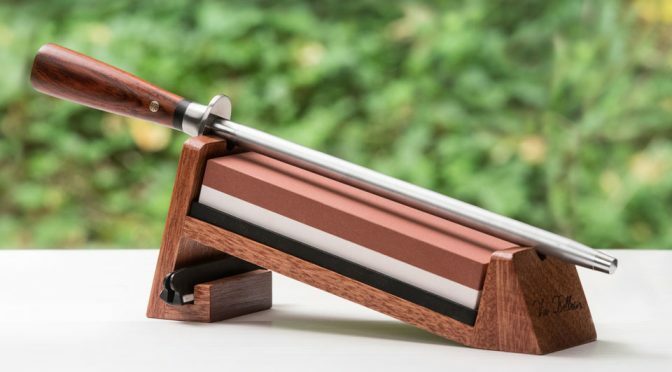 Vie Belles has taken Vie Belles Knife Sharpening System to Kickstarter to raise funds to get it onto the production line. If you want to see this uber sleek sharpening solution materialize, you may want to consider backing the campaign. A complete set, which contains the whetstone, honer, sharpening guideline and rosewood stand, goes for 130 Canadian money (about US$98), but can also choose to pre-order each individual according to your need. 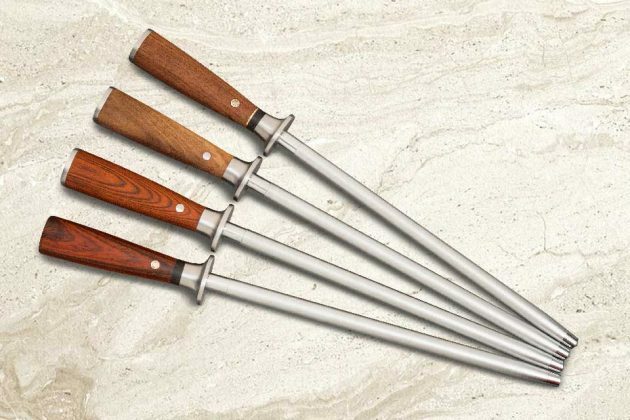 Images courtesy of Vie Belles Cutlery.